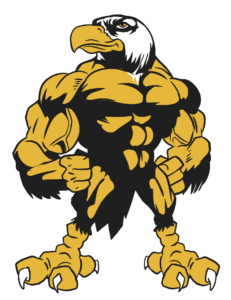 Welcome to Mighty Eagles Wrestling Winter 2018-2019 Season! · November 5 – “Regular” practices begin. · November 10– 1st Local USA Wrestling Tournament. The full list of local tournaments is located at the end of this email. Our season will last through at least mid-February and if we have any wrestlers committed to going to State, we will stay open until the State Tournament. Monday, Tuesday, and Thursday. Most likely the practice time will start at 6:30 PM. Practices will be scheduled for one and half hours. There may be days when practice will start late due to conflicts at the facility (and the High School team having first rights to the facilities) in these case, we may go past the normal time, as we will try to provide the full practice time for our wrestlers. Tuesdays and Thursday practices are our regular practices. These practices will start with the full team warming up together. Once the opening drills are done, the club will be separated into groups by experience level. This is done so that the instruction can be tailored to the wrestler, much like other martial arts where classes are based on what belt or skill level a competitor has achieved. The coaches will be the evaluator of which group your athlete will be in. This determination will be based on experience, wrestling knowledge, and athleticism. We may move certain wrestlers among the groups practice by practice depending on various factors. Please address any concerns to Coach Jukes or Coach Sedwick. After the soft start, Monday practices will be geared toward our tournament wrestlers! While everyone is welcome to attend, the practices will focus on advanced techniques and the drilling will be more strenuous. If a rookie/novice wrestler is in attendance and doesn’t have the prerequisite skills for a particular drill on Monday night, they may be asked to sit out the drill and watch. They will be welcome to rejoin once we move into something that suites their skill level. We will give each wrestler in attendance the opportunity at each drill, but must keep the practice going and keep the wrestlers safe. · Wrestling Shoes. No other shoes are allowed on the mat. If you cannot procure wrestling shoes before the first practice, your wrestler can practice in socks. Dicks normally has shoes as well as Academy. There are also many online retailers that offer excellent prices, however, we recommend going into a store to try on the shoes before purchasing as the fit can be very different from normal shoes. · Head Gear – This is required at tournaments. It is also extremely recommended for practice. This will not only help prevent cauliflower ear, but also help our wrestlers be comfortable competing with their head gear on at tournaments. · Water bottle, optional. We do have drinking fountains at the facility, some like to bring their own. · Singlets – One of two options for competition uniform. We ask that your wear the club uniform to help our coaches identify our wrestlers at the very hectic tournaments. · Compression Shirt and Fight Shorts – This is the second option for folkstyle competition. The club will be sending out additional information on ordering/renting competition uniforms at a later date. We are a 501(c)(3) non-profit organization. Our mission is to help develop children and make wrestling accessible to as many as possible. To this end, we always welcome help. If you have a wrestling background, and have the desire and time to assist with coaching, either at practice or at tournaments, please let us know. Also, if you just would like to help, we can always use help to run the non-profit. We try to provide help to run a table at the LoneStar National tournament. In past years, we have sponsored children/families for Angel Tree/Christmas Angels. We also have various other charitable and fun things we do. Please let us know if you would be willing to help out in whatever capacity. We are super excited about our season. We truly believe that we are going to have a lot fun together as well as enormous success. If you have any questions, please contact Coach Dave Jukes at mightyeagleswrestling@gmail.com, alternately, you can call or text him on his cell at 805-878-7171.